How to master the relationship with self, and how and why to focus upon yourself first before you focus on relationships with others. 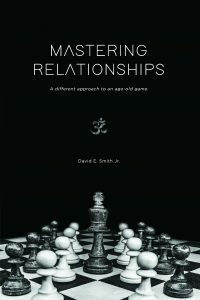 Understanding why the mastering of the relationship of self is the key to all relationships with all creatures and all beings. How to be mindful on a daily basis, as well as understand how to access joy by living in the present moment. You will learn how to connect with Source along with the life that surrounds you in nature. This course, taught by David E. Smith Jr., author, teacher, trainer and podcaster, will teach you how to find happiness and understanding the power of self-awareness and the Universal Mind. 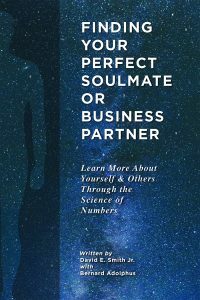 You’ll practice self-awareness and mindful techniques, including visualization and grounding, so you can concentrate fully on self, and connect with Source or Universal Mind. As you listen to David E. Smith Jr. speak, you’ll begin to learn how powerful you really are as a being of natural light. You will learn to love yourself and attract positive energies that surround you. You will learn why you should not discriminate or be prejudice of anything or anyone. You’ll learn about the importance of feeling, and understand it is the secret to the power of your wonderful human imagination. Use feeling to invoke the power of feeling and encompass every cell and fabric of your being to manifest your desires. Whether you are experiencing difficulties in work, relationships, economically or socially, you can invoke the powers at will that will lead you down a path of positive energy. By the time you complete this audio course presentation, you’ll be aware of how to use self-awareness and/or mindfulness in your everyday life to bring more joy and compassion to yourself and everyone around you.